MAINGEAR has launched a brand new line-up for the Clutch series notebooks. Specially designed for business professionals and students who are looking forward to small and powerful mobile solutions while falling in their price range. Two models tagged as Clutch-13 and Clutch-15, integrated with Intel’s powerful processor have been made available for the users. The smartly designed super-powerful gadget would be a market winner and would attract thousands looking for convenience. 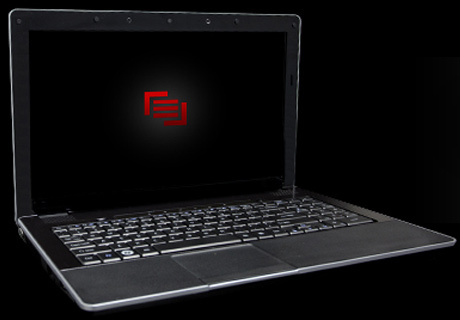 MAINGEAR’s Clutch 15 offers a 15.6” screen which is thinner, lighter and competitive in design compared to average notebooks available in the market. The notebook features a full-size keyboard with a numeric pad, with MAINGEAR also offering the users to upgrade the notebooks with Intel Core i7 mobile processor and an Nvidia GeForce 330M. The notebooks integrate Intel Always Aware Technology which utilizes the system accelerometer to provide hard drive protection, system security and display control. Furthermore, the Intel Anti-Theft Technology is an additional feature which provides a complete lockdown when the system reports multiple failed login attempts or when lost or stolen. The MAINGEAR Clutch-13 and Clutch-15 are the perfect notebooks for those who want portable productivity with the power of a desktop. With the Intel Core mobile processors and high-performance discrete graphics available on the Clutch-15; business travelers, students and casual gamers can get a stunning visual experience and while staying connected wherever they are, it’s a win-win for everyone. Pricing starts at $899 for Clutch-15 and $1099 for Clutch-13.